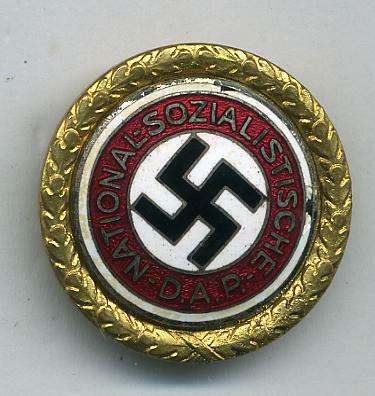 (L815)	A Nice example of a Bronze Pottsdam Badge being the first reichs party day badge for the German Youth in 1932. This badge is one of the issue badges for this rally and is maker marked to the reverse Hoffstatter Bonn as well as being marked Ges Gesch. The badge is in virtually mint condition and was picked up by an RAF Sergeant who was billeted in Berlin at the end of the war and traded these with the family for chocolate etc. (N877) A Nice example of the re-issued SA Treffin Badge for 1931. 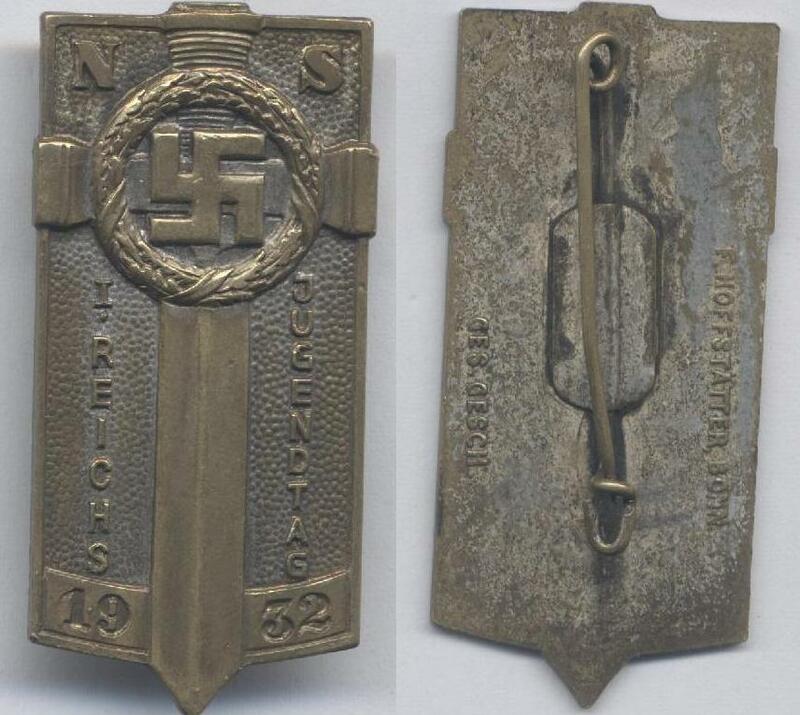 This is the SA Brunswick Badge where the SA and SS supporters of Adolf Hitler clashed with the communists and had one of their big punchups and after Hitler came to power in 1933, this badge was raised to party status. The badge itself is as stated, the 2nd design being the more oval type badge of solid aluminium construction with an RZM and a maker of M1/35 to it. The badge is complete with its nice pin fixing and is the type that was bought as replacement for the original lost rally badge.